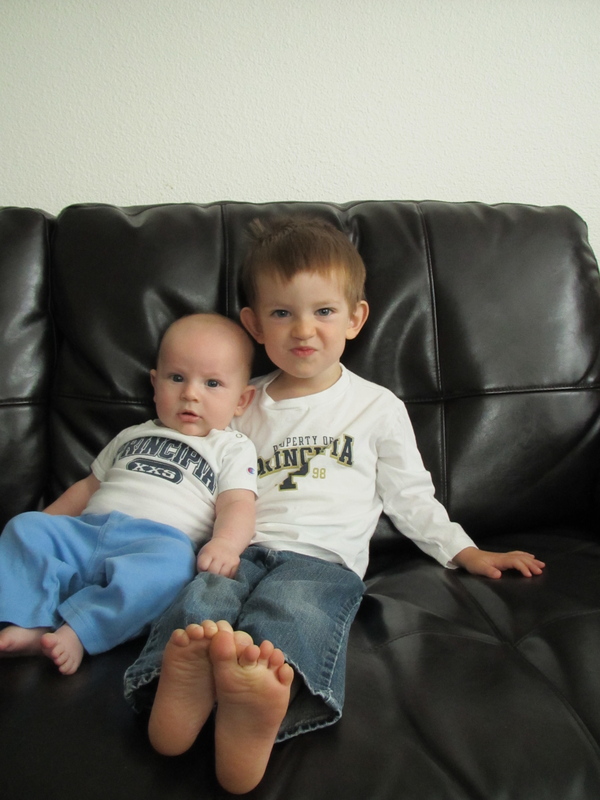 Oliver and Patrick both have little Principia outfits from Auntie Megan. P now fit’s O’s old onesie. I also accidentally shot some video of Little Principians say “Hi hi”.